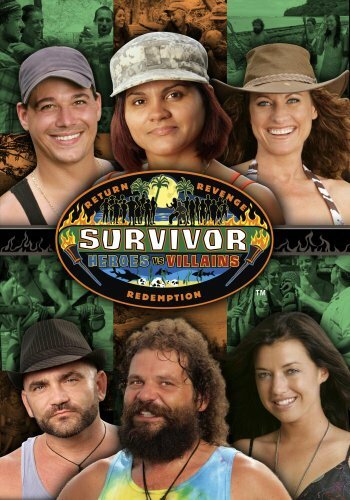 Survivor: Heroes vs. Villains, the 20th installment of the groundbreaking series reunites some of the most memorable, heroic and controversial castaways from previous SURVIVOR seasons. These unforgettable castaways compete deep in the South Pacific on the breathtaking island of Samoa. The cast of 20 is divided into two tribes of 10 - the HEROES are defined by their acts of integrity, courage and honor, while the VILLAINS have mastered their skills of deception, manipulation and duplicity. Both tribes face off to stay on top of their game, tackling challenges based on those used in previous seasons. Watch how the game plays out as one Villain pushes so hard to provide for the tribe that he passes out cold, one of the game's most notorious masterminds finds her grip on an alliance slipping and a Hero makes a bold move to save himself by fooling the entire tribe. Discover who will ultimately hold the title of Sole Survivor in this special-edition DVD set. This product was previously released on single-sided single-layer discs. Because it is now being released on single-sided dual-layer discs, the packaging has been changed. However, no content has been changed or added.